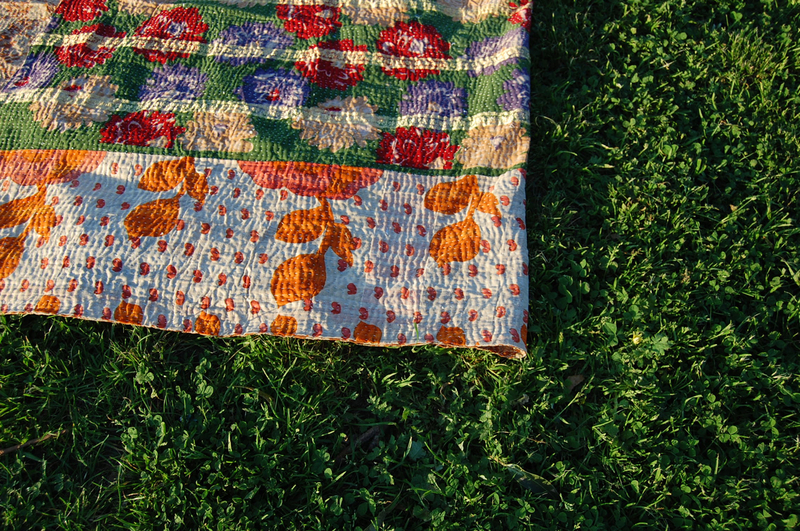 CLOVER is always ready for a picnic amongst the clover fields… With such beautiful floral elements and gold saree detail, this one wins your heart. 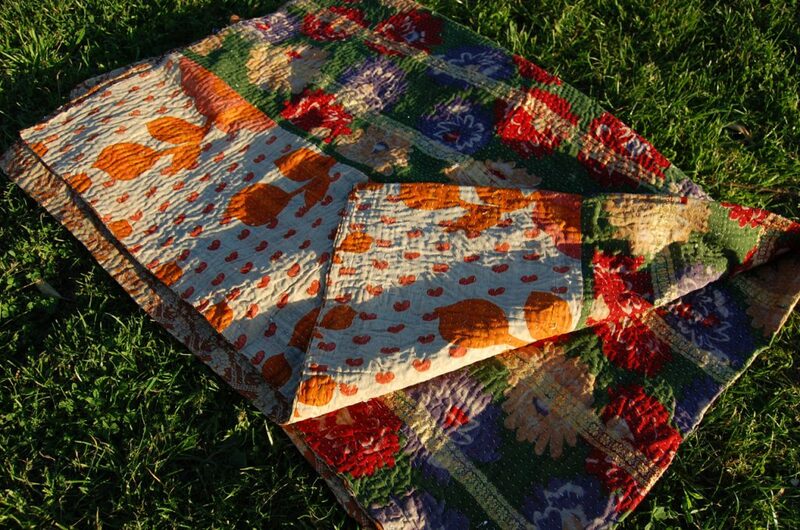 The perfectly complex flavours of patchwork contrast each other well – almost clashing, yet beautifully combined. 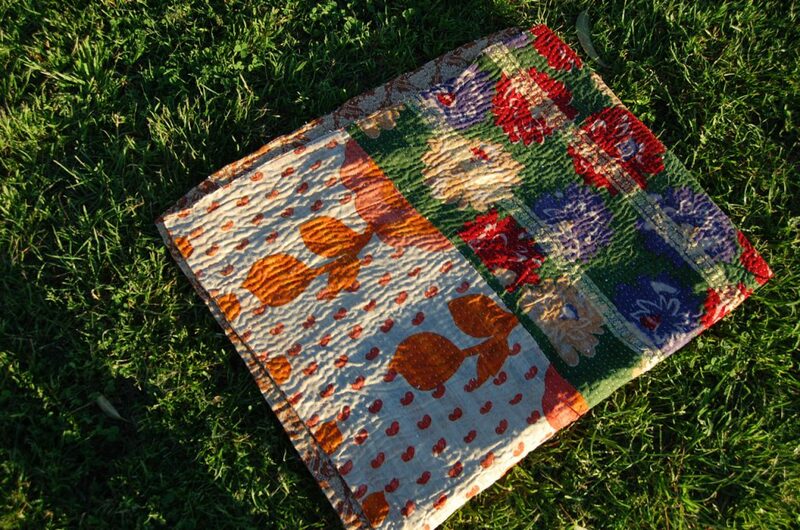 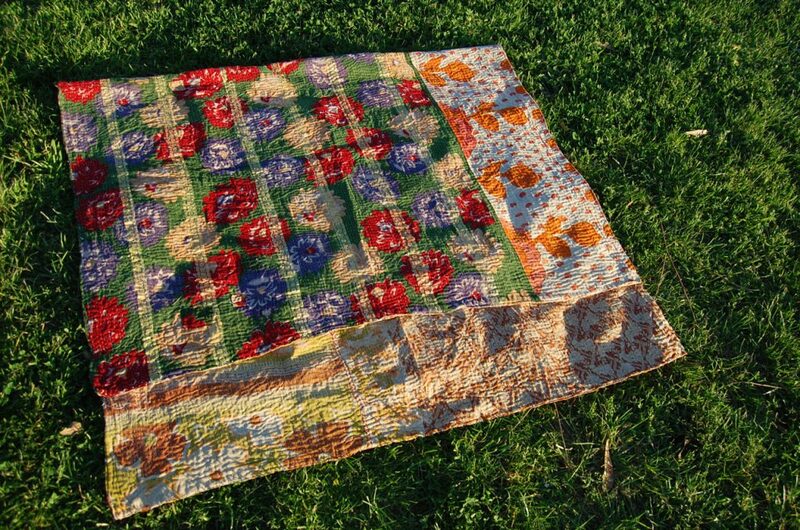 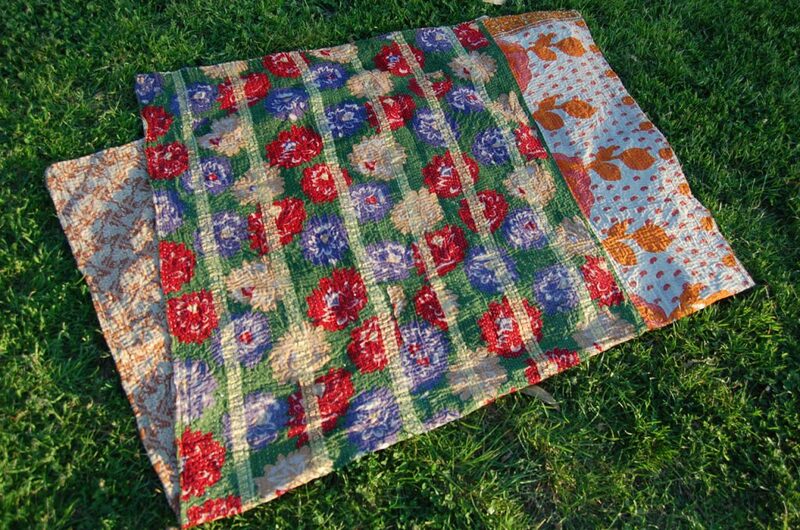 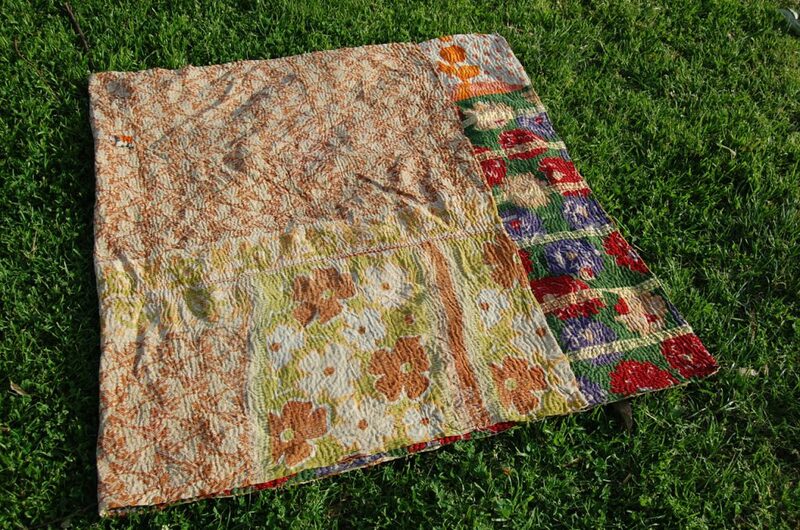 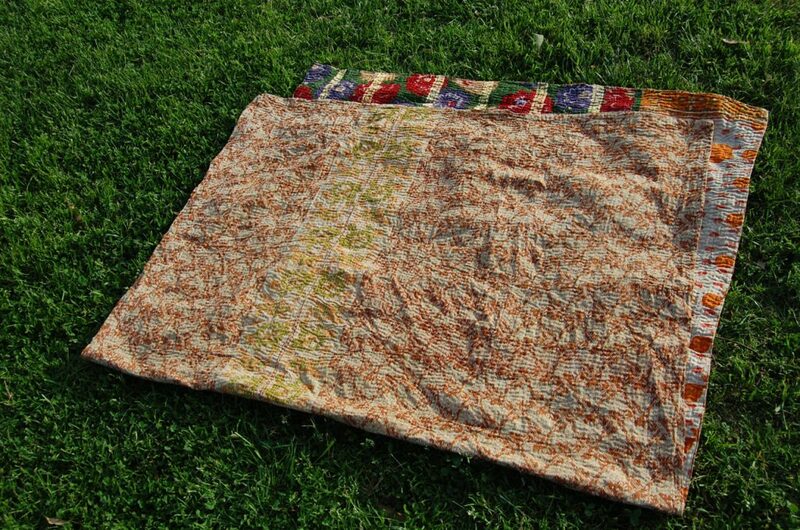 This floral quilt cover has a nice weight to it, with the patchwork, construction and design making it a truly unique cotton quilt bedding for the bohemian home. 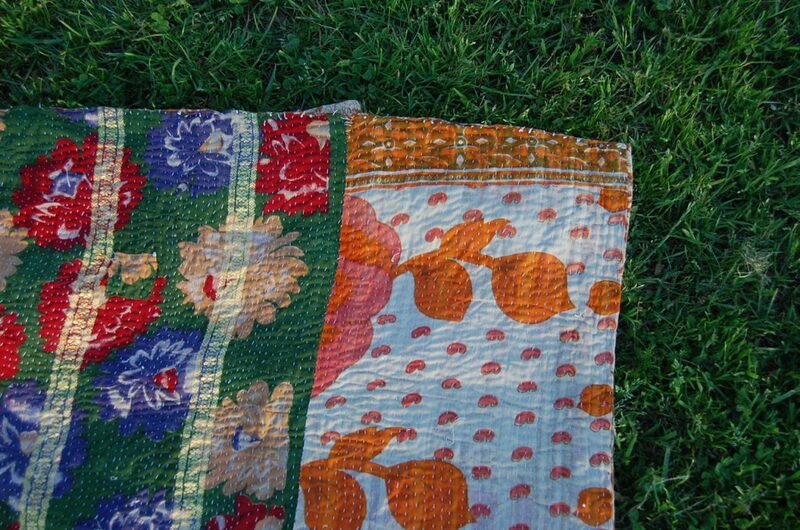 For more decorative throw blankets, embroidered throw blankets & saree embroidered textiles, check out our store The Kantha Project.